A sign pointing the way to nearby Tierra Blanca Ranch, which occupies a 30,000-acre area surrounded by the Gila National Forest in rural Sierra County south of Hillsboro. The owner of a controversial youth ranch program is dialing down comments about a gubernatorial candidate’s role in helping the ranch during the recent legislative session. Scott Chandler now says Democratic gubernatorial candidate Howie Morales, a state senator from Silver City, did nothing but meet to hear his concerns about the state’s treatment of Tierra Blanca Ranch, which has been the target of a yearlong police investigation into abuse complaints. Morales’ campaign says the same thing. As New Mexico In Depth reported in a recent article, Tierra Blanca is not currently regulated by the state’s Children, Youth and Families Department. Two bills that would have required state licensure and greater oversight of Tierra Blanca and other so-called “youth wilderness programs” stalled in the legislative session that ended in February. Chandler now says he praised Morales in the Headlight article simply because the legislator was willing to meet with him about the ranch, which is located south of Hillsboro in Sierra County, and its program for troubled youth. “Sen. Morales was very gracious and respectful to us and allowed us a few minutes with him to explain our concerns,” Chandler wrote to NMID in an email. Morales’ campaign manager says the senator did nothing during the session to influence votes on the bills. Morales isn’t a member of any committee that considered the legislation and took no votes on it. Howie Morales, who "supports state licensure and oversight of Tierra Blanca Ranch," according to his campaign manager. 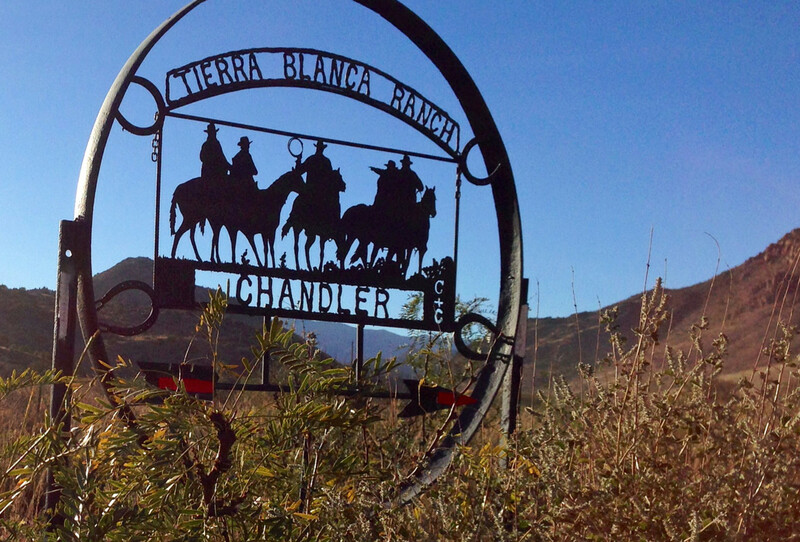 Campaign manager Jon Lipshutz said Morales “supports state licensure and oversight of the Tierra Blanca Ranch and all other similar programs” – the very legislative proposal Chandler worked during the session to defeat. Morales met with Chandler in January, Lipshutz said. He said Morales had no discussions, verbal or written, with other senators about the legislation; did not broker any meetings for Chandler; and has made no public comments about how Republican Gov. Susana Martinez’s administration has handled the case. In February, the Senate Judiciary Committee tabled a bill that would have required licensure of Tierra Blanca. Among those voting to shelve the legislation was Linda Lopez, D-Albuquerque, who’s running against Morales and three others in the Democratic gubernatorial primary in June. The winner faces Martinez in the general election. Police are investigating allegations that Tierra Blanca staff physically abused and neglected troubled boys whose parents sent them to the ranch to learn discipline and respect for authority. Three civil suits have been filed in state court against Chandler and the ranch since December claiming children were abused by the program’s employees. Seventh Judicial District Attorney Clint Wellborn said last week that he is waiting for additional investigative work before deciding whether to pursue criminal charges in the abuse case. Chandler said he and his mother, Ida Kay Chandler, a longtime Republican, recently donated to Morales’ campaign. He gave $100 and she gave $400. A check of the website FollowTheMoney.org reveals that the Chandlers and the ranch haven’t often donated to political candidates, at least going back as far as 1989. Before the Morales contributions, when they did give, it was to Republicans, according to the website. Ida Kay Chandler gave $124 to GOP attorney general candidate Jim Bibb in 2006. Tierra Blanca Ranch gave $50 to then-Republican gubernatorial candidate John Sanchez in 2002. And the ranch gave $500 to Ida Kay Chandler in 2004, when she unsuccessfully sought a state House seat. FollowTheMoney.org lists no contributions to political candidates in New Mexico from Scott Chandler since 1989. Neither that website nor the Secretary of State’s campaign finance system are updated with donations in this year’s gubernatorial race because the campaigns have not yet had to file finance reports. Scott Chandler hasn’t responded to an email asking if he’s donated to any current gubernatorial candidates other than Morales. Rene Romo is a freelance reporter. A ranch for troubled youth in Sierra County is facing allegations of shackling children at their ankles and abuse. Recent lawsuits and other developments raise a question: Why didn’t the state require the ranch to be licensed and subject to oversight years ago?